Find the names of six new Cosyfeet styles in our word search competition and you could win a pair of shoes of your choice from our new spring collection. 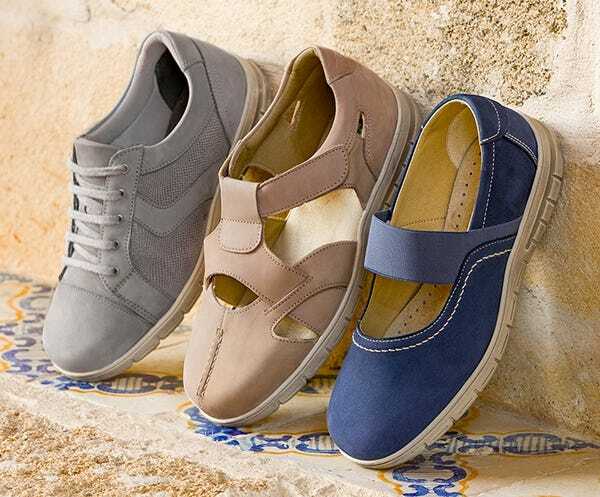 Find the names of six new Cosyfeet styles in our word search competition and you could win a pair of shoes or sandals of your choice from our new spring collection! To be in with a chance of winning, simply find the six new Cosyfeet styles in the word search below and fill in the entry form by 11.59pm on 31st March 2018. Sorry, but this competition has now finished. To be in with the chance of winning a pair of Cosyfeet shoes or sandals from the new spring collection, simply find the names of 6 new Cosyfeet styles in our word search and complete the competition form above by 11.59pm on 31st March 2018. Click here to view our new collection. A winner will be picked at random from the correct entries. The winner will be contacted by email. Prize cannot be exchanged for a cash alternative. We reserve the right to withdraw this competition at any time. From the email I got, the new Katarina pair of shoes look comfortable. I am already in your mailing list. so I always use your site which is the best around. Lovely shoes, modern styles with comfort for poor feet! Your new shoes look comfortable. Katarina looks beautiful and so modern. It is a good use for fleece. I am delighted to learn that Katarina is washable. Hello, Just wanted to say I just love cosyfeet shoes they fit my swollen feet perfect. I have 49 pairs of shoes and only one is Not cosyfeet. Must be honest I do tend to buy in the sales, they are such good value for me . Nice to see the new range of styles whenever they come out without having to look through a weighty catalogue but what makes it even nicer is to have competitions to enter which everyone can have a go at without having to be super intelligent, just needs a bit of patience and concentration!